Product categories of R Series Rotary Arm Stretch Wrapping Machine, we are specialized manufacturers from China, Rotary Arm Stretch Wrapping Machine, Rotary Arm Wrapper suppliers/factory, wholesale high-quality products of Arm Rotary Wrapping Machine R & D and manufacturing, we have the perfect after-sales service and technical support. Look forward to your cooperation! The rotary arm wrappers are mainly used for the high speed packaging/logistic system. according to different packaging line, the Rotary Arm Wrapper can be designed for loads small or big, light or heavy. It refers to rotate the goods around the rotary arm, thereby achieving wrapped the goods. All T-series wrappers can be wrapped with R-Series wrappers. In addition, the wrapping methods is more suitable for lighter, higher-level and unstable post-palletizing products or overweight goods. 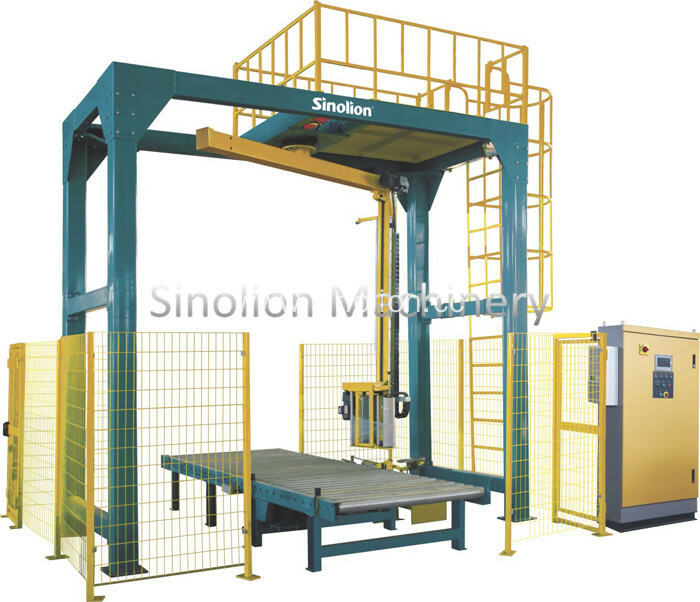 Flexible installation of the machine can be placed on the wall, can also be used to support fixed; and can be connected with the transmission line as needed to meet the demands of assembly line operations.